A proud country, Croatia. It's also an increasingly popular tourist destination and, more importantly, the mid-table obscurity nation of the Eurovision. A preoccupied Croatian businessman drove through city streets for 15 minutes before realising he had got into the wrong car. The 50-year-old, from Zagreb, got into what he thought was his Volkswagen Golf at a car park outside his work. He had driven miles before he realised some of the familiar interior details of his car were missing. He drove back to the car park where he was confronted by police and the angry owner of the car he was driving. Police later confirmed that the man had been able to open the car and start the engine because the locks on the driver's door and engine were broken. A Croatian man blew up his frozen car after trying to warm it by lighting a fire under the engine. Zlatko Grden, 52, lit some old newspapers under the engine of his Opel Kadett after it failed to start in freezing temperatures. He told local media: "I couldn't start the engine and realised it was frozen. I decided to warm it up. Maybe I used too much paper." Grden, of Donja Stubica near the Croatian capital Zagreb, added: "My lovely car is now destroyed." A Croatian teacher has been trapped under a pile of books in his bedroom for three days before police rescued him. Police found the 60-year-old maths teacher, named only as DK, after his wife phoned neighbours to find out why he had not visited her in hospital for so long. The neighbours called the authorities after hearing muffled groans coming from the central Zagreb apartment. The books had apparently collapsed on the man from a shelf above the bed, leaving him trapped and unable to move. Croatia is indeed unique, not only for its crystal clear, clean blue sea, but also for a thousand years of different cultures that have replaced each other and sometimes assimilated in these areas." "The Adriatic Sea is not only a deep gulf in the Mediterranean cut into the Continent of Europe thereby creating most economical trade route between Europe and the East, it is also the cradle of ancient civilizations. There is much material evidence about that which is finally beginning to come to light, from the depths of Adriatic caves and from the deep blue sea. The east coast of the Adriatic Sea was inhabited as early as the beginning of the early Stone Age, and there is proof that most of the accessible islands were also inhabited. A top Croatian doctor faces the sack after allegedly making patients wait for ultrasound treatments while his pet crocodile had a check up. Patients at the KBC Hospital in Zagreb said they couldn't believe their eyes when the crocodile was wheeled in on an operating table. They claim they were made to wait two hours while staff examined the reptile. Fellow doctors were shocked by the "unethical behaviour" of their colleague. The four foot croc had been off his food but the ultrasound examination revealed no major problems and it's believed he was just upset by the cold weather. Nurses in a Croatian hospital have been ordered to go back to wearing skirts instead of trousers after complaints from patients. Some nurses at the town hospital in Firule had been wearing trousers while on duty, but patients had complained they looked untidy and unprofessional. Hospital director Dujomir Marasovic has now written to inform all female staff of the skirts only rule. He told local media: "We want to put everything in order here in the hospital. "We want all nurses to wear the same clothes and we have imposed a rule which says they should wear skirts. The length of those skirts, be they mini skirts or otherwise, is up to the nurses." A wealthy lawyer says he must be the ugliest man in the world after having 5,000 marriage proposals turned down. Croatian lawyer, Emil Kacic, who has logged all the failures in a little black book, said: "Money can't buy you love, at least if you have a face like mine." After placing adverts in local papers stressing his wealth with words like "tender and rich lawyer looks for a pretty lady to marry" and then "disgustingly rich lawyer looks for a pretty lady to marry", he was still unable to find a wife. He said: "I've got to the point where I have even been asking women I am meeting in the streets to marry me, but they always say no." Kacic, from Zagreb, said he had now accepted that he must be the ugliest man in the world.Dejected Kacic said: "I've tried placing all kinds of different ads, but not a single woman I've met through my adverts has accepted my offer. What else is there to believe, other than that I must be the ugliest man in the world." ... is a big Croatian tourist centre, not only in terms of transit from West and Central Europe to the Adriatic Sea but also as a tourist destination. 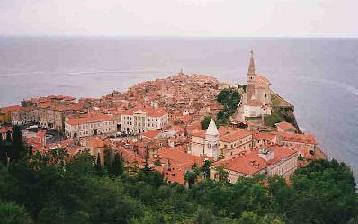 The city with a tradition of almost one thousand years celebrated in 1994 its 900th birthday. Zagreb is not only rich in cultural and historical monuments, museums and galleries, it also has a variety of modern shops, and offers good quality of diversified restaurants as well as sports and recreation facilities. 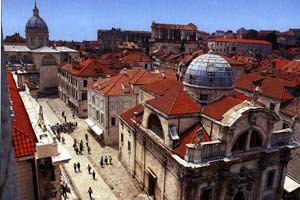 295 Diocletian begins construction of a palace near his birthplace, to become town of Split. 925 Croatian kingdom established. 1202 The Fourth Crusade sacks Zara (Croatia). 1389 Serbs defeated by the Ottoman Turks. 1527 Croatia forms state union with Austria. 1917 Pact of Corfu signed between Serbs, Croats & Slovenes to form Yugoslavia. 1941-1945 Croatia occupied by Nazi forces. Hundreds of thousands lose their lives. 1945 After a bitter resistance campaign by partisans under Tito, Croatia becomes one of six republics of Yugoslavia. Croatia is multi-ethnic. 1990 First free elections in Croatia for 50 years. 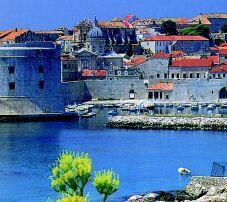 1991 Croatia declared independent. Croatian Serbs in the east of the country expel Croats with the aid of Yugoslav army. Nearly one-third of Croatian territory is under Serb control. 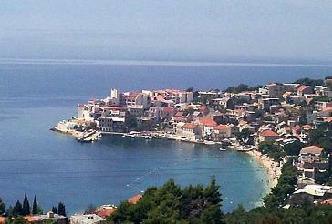 1992 The UN sets up 4 protected areas keeping Croats and Serbs apart. 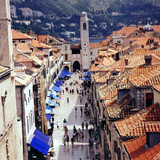 Croatia also involved in war in Bosnia-Hercegovina, then against the Muslims. 1995 Croat forces retake three of the four areas created by the UN. Croatian Serbs flee to Bosnia and Serbia. War in Bosnia-Hercegovina ended. 2001 The Hague tribunal indicts former Yugoslav President Slobodan Milosevic for war crimes and crimes against humanity. 2003 Croatia submits formal application for EU membership.